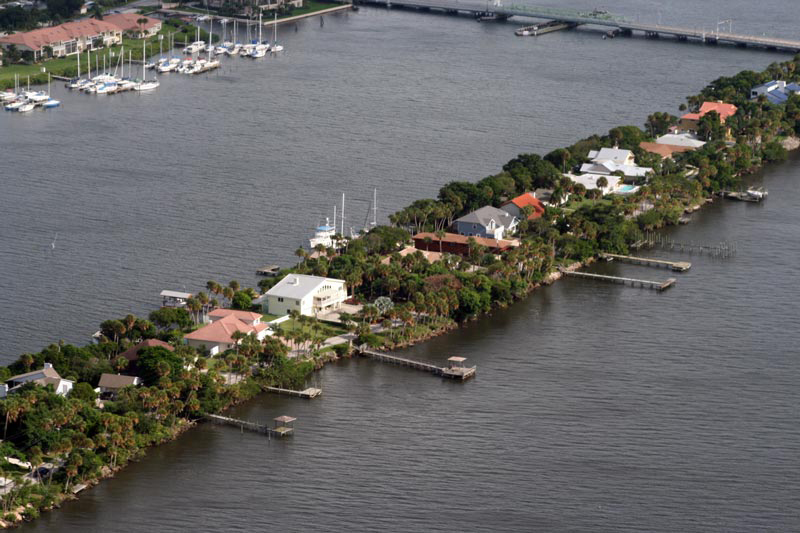 Welcome to Paradise Point on a secluded stretch of Merritt Island's southern tip. 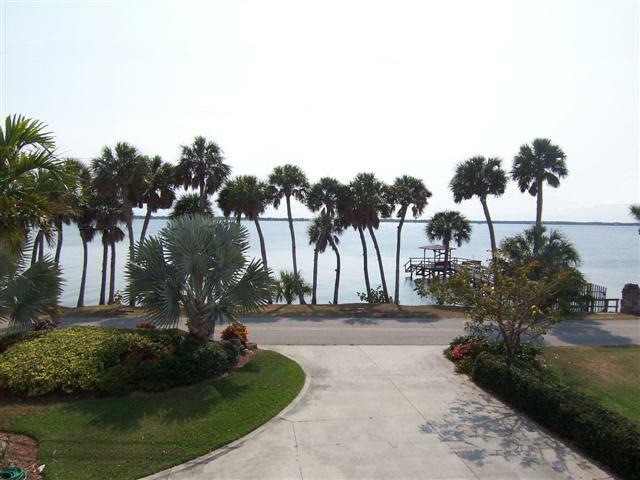 Enjoy a rare opportunity to live in casual island style with great views. 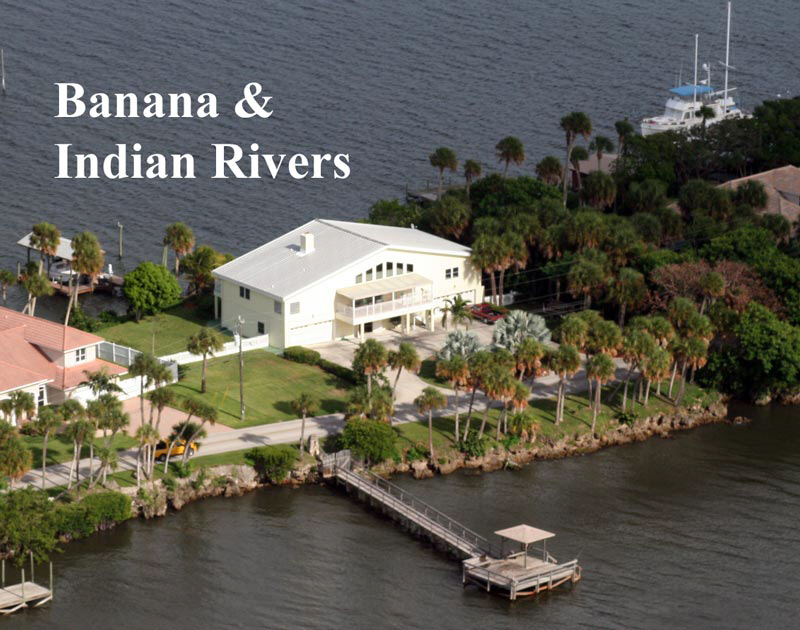 Here you can awaken to sunrises over Banana River, and savor spectacular sunsets over Intracoastal Indian River. 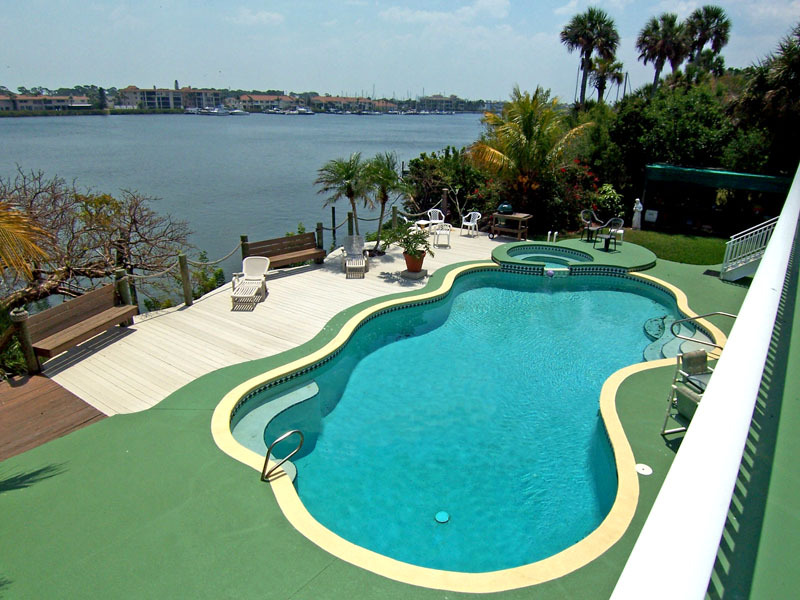 You are located halfway between Port Canaveral and Sebastian Inlet and can dock up to three 50'+ vessels with 11ft draft in the well-protected lagoon right in your back yard. 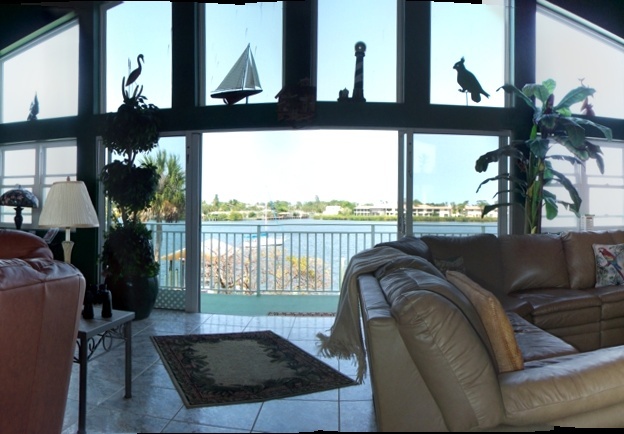 Enjoy fantastic views and tropical breezes in a windows-open lifestyle mirroring homes in the Florida Keys and Caribbean Islands. 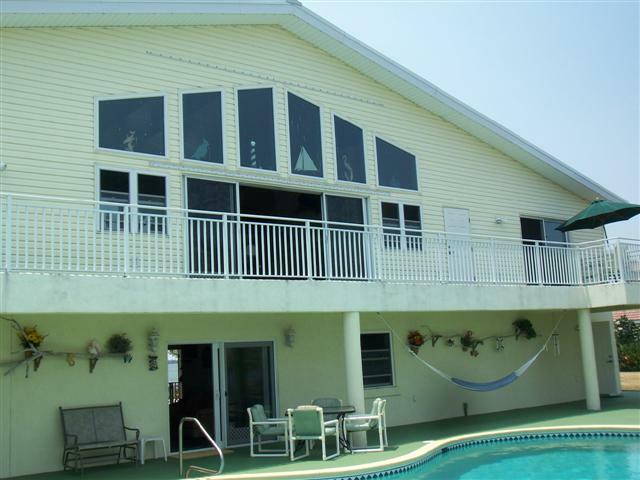 Invite family and friends to sip a tall cool drink on any of several patios, balconies, or docks. 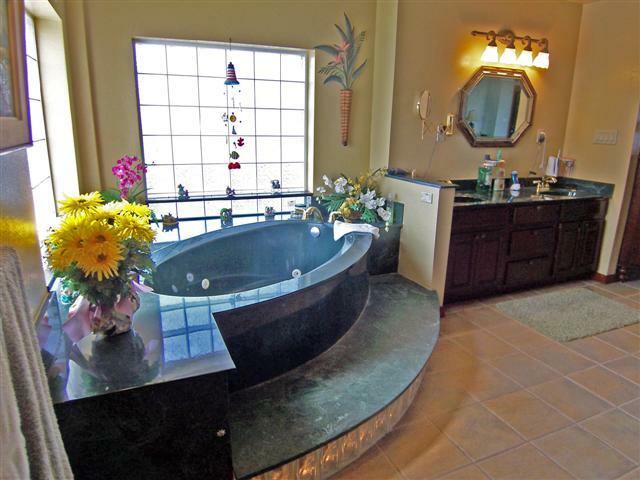 An elevator transports guests to the second floor greatroom with travertine tile floors, tongue-in-groove cypress ceilings, built-in custom entertainment center, big screen TV, and living-reef aquarium. 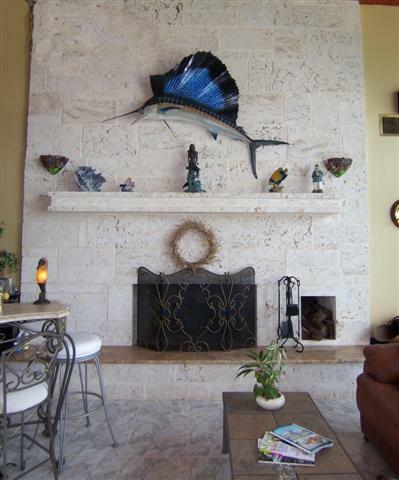 Soaring coquina fireplace takes the chill off those few cool nights. 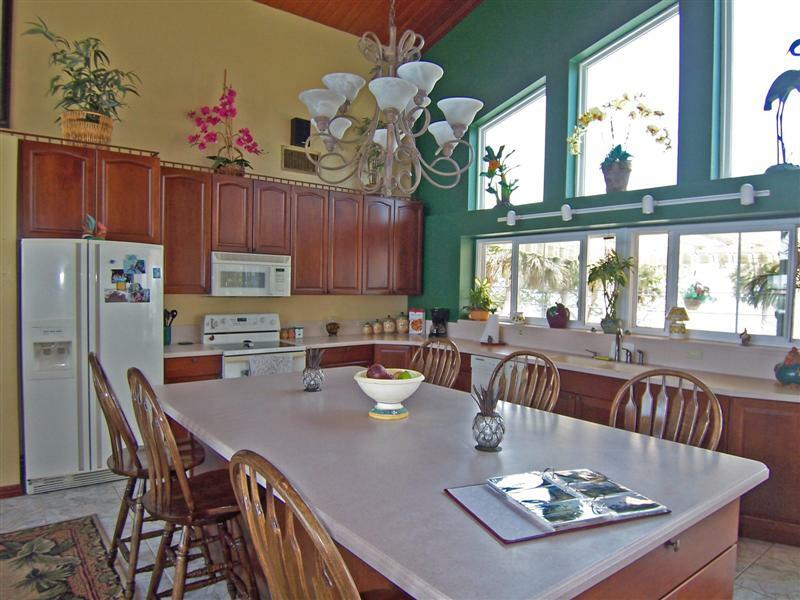 Kitchen is the central hub facilitating entertainment in this island paradise home. 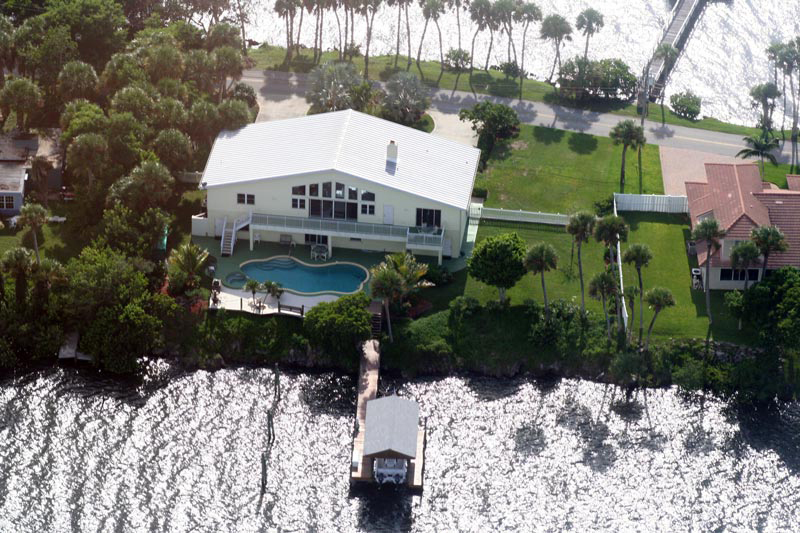 This is the only home designed and constructed for 200 mph windloads by an owner/builder/engineer who designed shuttle launch pads. You cannot be better protected -- period! Insurance premium just $3k/yr. Click for Construction Specifications which are of exceptional design, quality and workmanship and nearly maintenance-free. 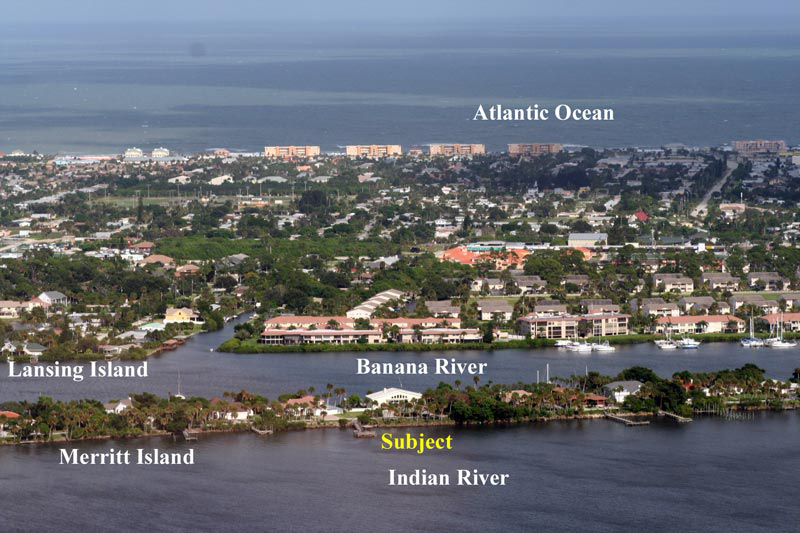 Indian and Banana Rivers are part of a lagoon estuary which is home to the most diverse flora and fauna in North America, cradling Merritt Island between the mainland and Cocoa Beach barrier islands on the Atlantic Ocean. Join us!! 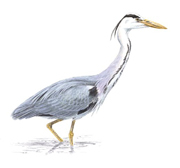 Directions: From A1A go West on Banana River Drive across Mathers Bridge at southern end of Merritt Island, then North 1,000 ft. on Tropical Trail (SR 3). © Richard H. Webb Specifications believed reliable, but not warranteed. 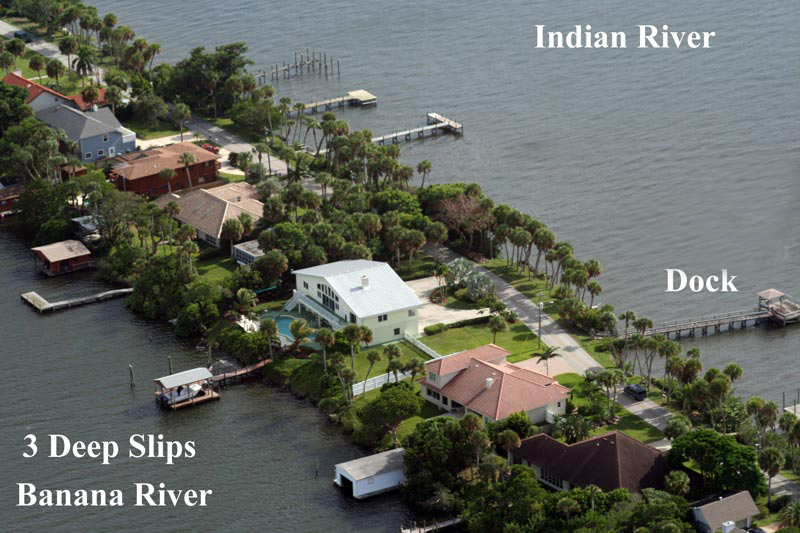 Quiet, isolated, protected, but close to everything in Indian Harbour Beach and Melbourne. View it on Google Earth. Berth one deep-draft vessel on each side of the covered boat lift, and one on left side of pilings. 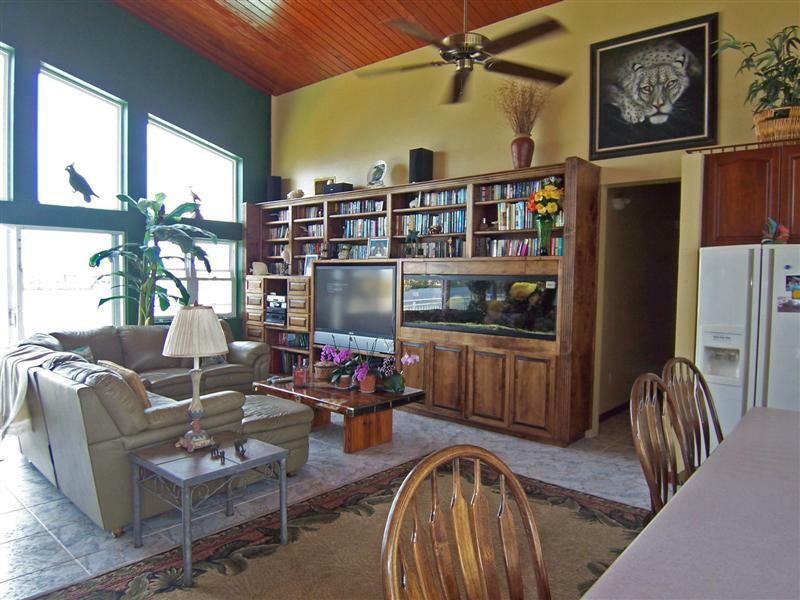 Wide-open Greatroom 34x28' invites the outdoors inside. The owners rarely close the doors. 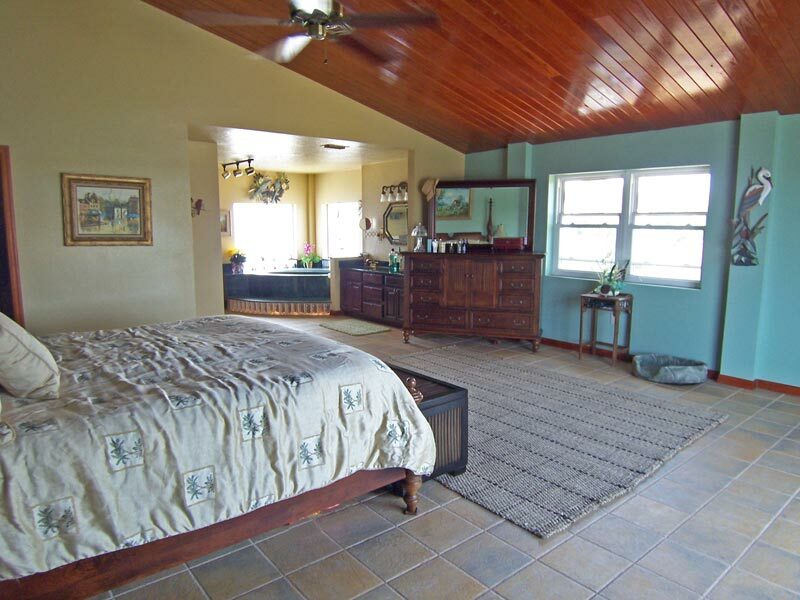 Hall leads to guest bedrooms. Add your own architectural details to the superior bones of this home. Why is this house so strong? Those are 7" STEEL roof trusses!  Why is it so cool? 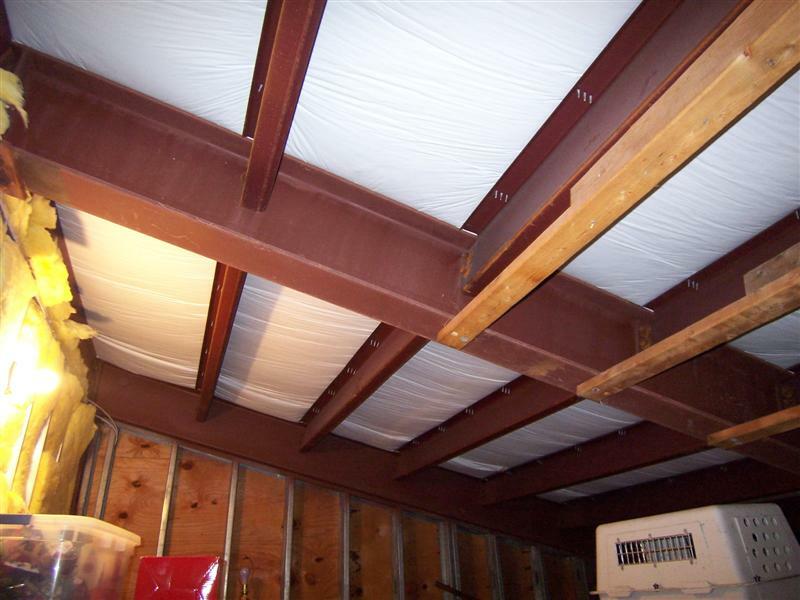 Super insulation.